Next month - April 21, 22, 23 - Lincoln School will be hosting the SAISA Boys' Basketball tournament. We are looking forward to putting on this event in our community, but do need your help to make it happen! Here is a letter and sign-up link encouraging you to host incoming participants. Please do help us out with this. 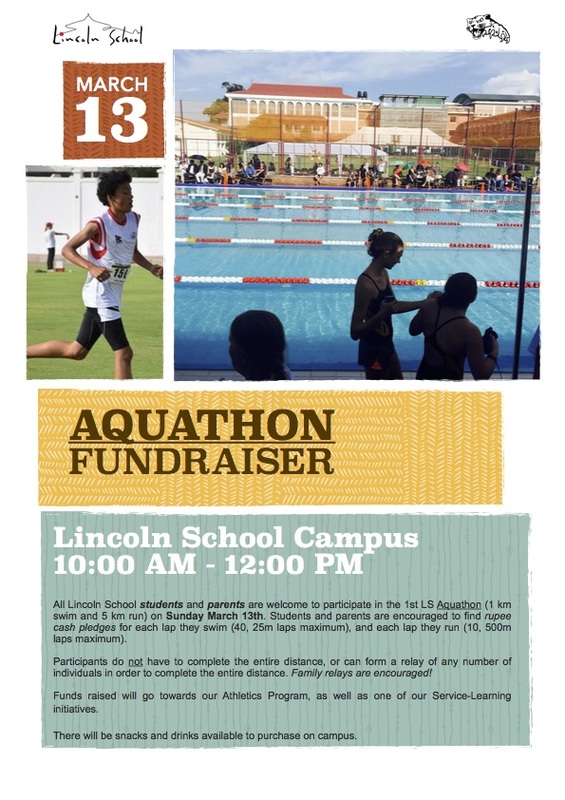 Finally, on March 20-24, Lincoln School PE and coaching staff, as well as a few students, will be participating in an AUSTSWIM course. All candidates will receive Australia's National Certification for the Teaching of Swimming and Water Safety. Not only will this provide our students and staff with valuable swimming and water safety knowledge and skills, but it will also mean that our entire department will have the same training to impart onto all our students from the Learn-to-Swim Program all the way through to our Competitive Swimming program. I hope to see you at the Aquathon on Sunday!